A Victorian Obsession: The Pérez Simón Collection. 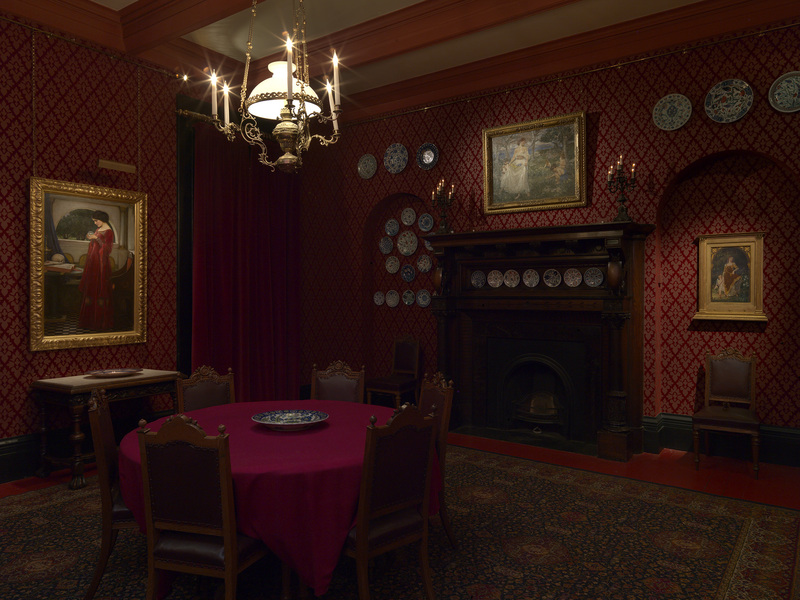 Dining Room, Leighton House Museum. Last week saw the opening of the exhibition ‘A Victorian Obsession’ at Leighton House Museum, and I was pleased to be at the opening event, which felt like a party at Lord Leighton’s home. I wrote about the Museum when it opened after a wonderful refurbishment in 2010, and its interiors are so spectacular that it was a pleasure to visit it again. The exhibition, previously in Paris and Rome, is made up of 52 nineteenth century paintings from the collection of Juan Antonio Perez Simon, a Mexican businessman with a spectacular collection of art as well as an impressive private library. A Victorian Obsession: The Pérez Simón Collection. 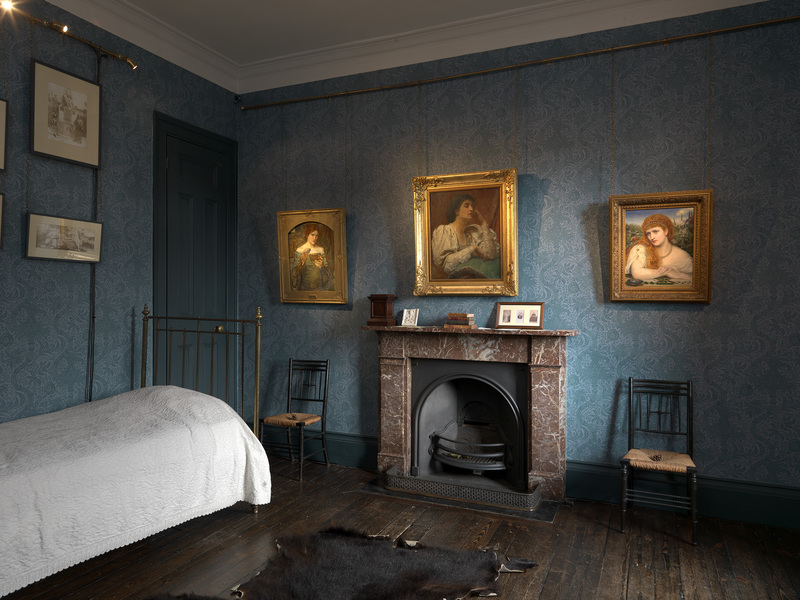 Lord Leighton’s bedroom, Leighton House Museum. but I wanted to give a brief preview or taster, because this is something special, and it says a lot about Victorian art, too. 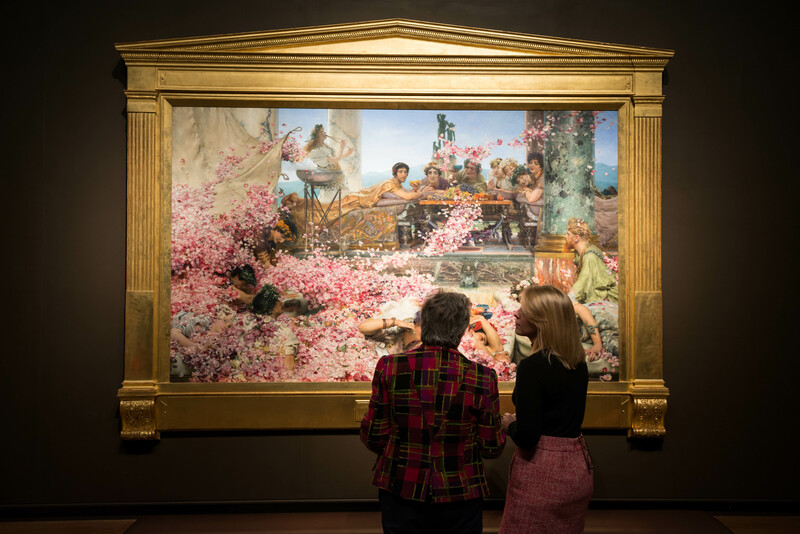 These paintings have travelled a long way, but they include a few that were originally painted by Leighton in the house in which they were displayed, so this exhibition feels like a homecoming. 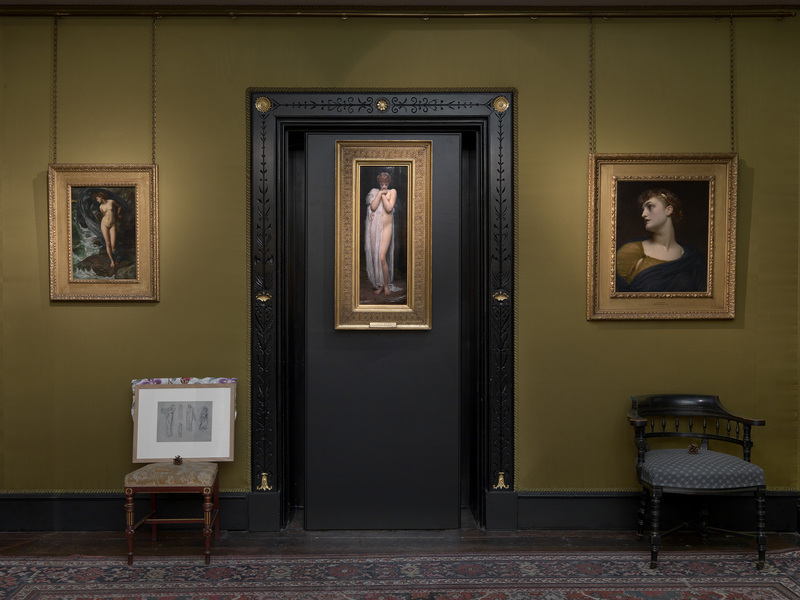 It also feels somehow right, in a wider sense: the paintings are displayed in the rooms of the house in the way in which Leighton often displayed works of art, hung around the walls in a rather informal way, without too much information and without strictly demarcated ‘themes’ for each room. 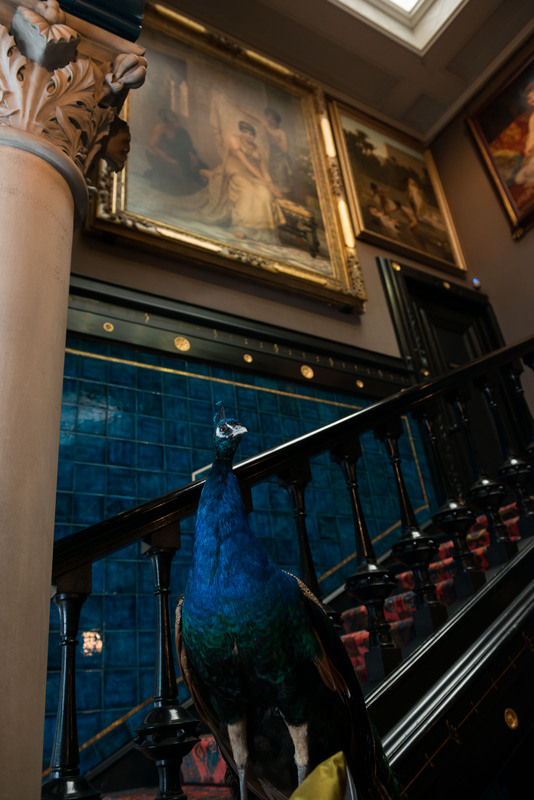 The amazing, exotic and colourful house provides a fitting setting for these works, which manifest a range of Pre-Raphaelite tendencies, and include painters such as Burne-Jones, Arthur Hughes, John Melhuish Strudwick, Rossetti, Millais and Alma-Tadema. A Victorian Obsession: The Pérez Simón Collection.Staircase, Leighton House Museum. Every exhibition, every arrangement of paintings, somehow shows us something new about the paintings themselves, and the juxtaposition of house and art here indicates almost a decadent approach to myth, and to interiors as an extension of the art – or the art as an extension of the interior. A Victorian Obsession: The Pérez Simón Collection. The Silk Room, Leighton House Museum.